We love the fast paced life of the metro cities. From high-end fashion stores to street shopping, from five star hotels to the pani-puri stall, from watching movies at PVR to munching popcorn at single screen theatres. We love the edgy, competitive and never-halting spirit of the metro cities. But every once in a while, we need a break from the dusty, noisy, and crowded metros and get away from the Shor in The City. So, in a mood to trade the frenzied city for a peaceful space for a couple of days? Fret not. We’ve got you covered. Gaze at the stars shining brightly in the clear sky or lounge in the jacuzzi or plunge in the pool or challenge your friends to board games or go for a nature walk. The world is your oyster. 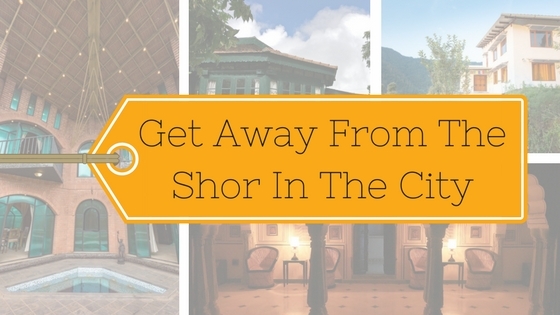 Here are the private villas just a few hours away from the hubbub of the city! 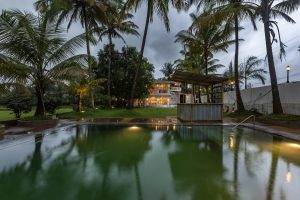 A house adorned with beautiful murals and frescos, it boasts of 4 cosy bedrooms, a dance floor accompanied by a DJ console and speakers, a poker table, a small TT table for kids, Wi-Fi and a mini library with board games. 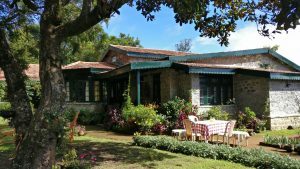 A modern, luxurious villa with a cricket ground, a pool and organic farms, SaffronStays Casa Blanca, is the ideal place to unwind. Total (Including GST): INR 33040 for Minimum 8 Guests! Overlooking the bubbling river, SaffronStays RiverRock is just a couple of hours away from the heart of Mumbai. Take a dip in the outdoor Jacuzzi or trail along a hike or go fishing in the river. A 2 bedroom, pet-friendly homestay with a private outdoor jacuzzi and earthy vibes, it is the perfect escape home for you and your furry little friend. 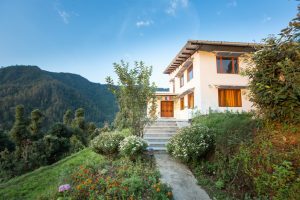 Total (Including GST): INR 7080 for Minimum 2 Guests! 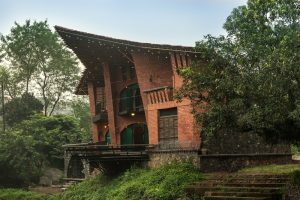 Perched on the hilltop overlooking the Nandadevi range, SaffronStays Tridiva, with its stone fireplace, warm and colourful interiors and breathtaking views, is the perfect spot for rejuvenation. Look at the glistening peaks of the snow-clad Himalayas as you enjoy a cup of piping hot tea. Experience the impeccable Garhwal hospitality as you are busy gorging on Pahadi delicacies. Total (Including GST): INR 8260 for Minimum 2 Guests! 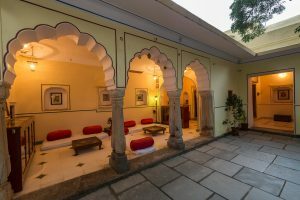 A 6-bedroom haveli, who’s every wall, every corner, and every artefact, has a tale to tell, SaffronStays Jaipura Garh offers a quaint and rich home stay. This heritage haveli brings the authentic rich and diverse Rajasthani culture under one roof. Experience the royal treatment as you treat yourselves to fascinating anecdotes of history and gob-smackingly delicious food. Total (Including GST): INR 5310 for Minimum 2 Guests! SaffronStays Kurinji Estate, a picturesque stone cottage built in traditional Thanjavur style, surrounded by lush greenery, landscaped gardens and a pond, exudes a charming aura reminiscent of a simpler era. Unwind and enjoy your stay with scrumptious meals and finest Tamil hospitality at this idyllic retreat. Built in 1865, SaffronStays Milton Abbott emanates the old world charm where you can experience a true heritage stay. 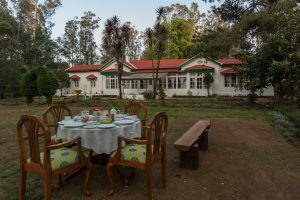 Surrounded by charming ambience it is perfect for estate walks or morning treks to the Ooty Golf Course or cozying up in front of the fireplace. Savour the regal charm of this heritage stay as you dine on authentic Sri Lankan/Tamil cuisine.